Born in a music family, Makajully started strumming his parents’ guitar as a child who grew up with music on the table, but insists he started taking music seriously as a career three years ago. 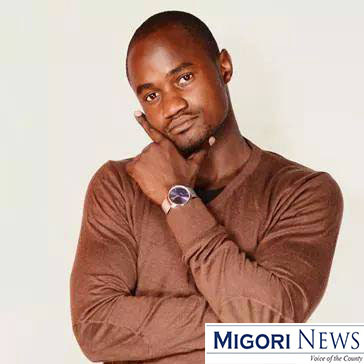 The son of the late Benga musician Prince Jully who passed away in 1997 and Princess Jully, the budding musician said he misses his late father. “I was still in primary when it happened and i miss him dearly. Sometimes I dream that one day he would come back and we’ll meet again” he explains. Though he carries his parents’ passion and determination as a musician he insists he is his own man as he builds his career in contemporary music away from Benga and Ohangla, his parent’s trade mark. This passion has seen him complete his album under the label Dalana Entertainment which also enlists other musicians, dancers and DJs in doing gigs and promotions. The album Love Portion contains ten songs which generally covers the theme of love and life with inspiration drawn from society. It has the song Bleeding Love and Winyo ma Wendo which he sings in Dholuo, English and Kiswahili as it talks about a new girl in a village who turns men’s head. “The key song is Kazana which is done in a mix of fast paced Bongo and Indian Bhangra beats featuring Jeffy Weezy and Dante Boi, and we did together as ORB Republik crew,” he said. The single was launched at Resort Club in Migori town and has seen the artist having shows in Kitale, Nakuru and Kericho. “It has given me a mild recognition and i know with further marketing I’ll soon move nationally” Makajully says. “My biggest achievement is that I don’t play vulgar music which resonates with both young and old where i get airplay in both contemporary and vernacular radio stations in the West region” Makajully. The budding musician says starting his entertainment label is a big step for his career. As a child Makajully recalls that their mother made sure they didn’t touch a guitar with his Omondi Jully before they finished education. “But now after school she is first my role model as a musician and a big muscle in my music by offering me her full support” he says.